There are many good reasons that gold coins have been used as money throughout history. One reason stands out: It gave all countries a common standard to measure the value of their currencies against. Accordingly, gold coins of the same weight and purity had the same purchasing power anywhere in the world. This was true even though the coins may represent a different amount of currency in each nation. As an example: International trade and payments between governments were always conducted in gold or sometimes silver. Most gold coins used the same purity standard of .900 fine gold. In other words, a typical gold coin was made of 90% pure gold. Using precious metals for transactions both large and small made sense. Paper banknotes and all forms of credit are only a promise. In all cases, gold was the fulfillment of that promise. Why would the Treasury of any government accept something besides the real thing? All of this meant that gold helped link together economies around the world. It was the stable and immutable basis upon which economic growth and activity were measured. Why Did All of the Gold Coins Disappear? It has been many decades, and in some cases almost a century, since gold coins were issued as circulating legal tender by any of the world's governments. It is telling that most people today have never held a real gold coin. The world financial system was in many ways less organized and less sophisticated during the 1800s and early 1900s than it is today. This is stating the obvious. However, one thing tied this global system together in relative harmony: Gold. The world operated on a gold standard where different currencies could be measured against one another based on how much gold they represented. Specifically, most countries used a gold specie standard. This meant that the local currency could be converted into a specific amount of gold in the form of coins at any time. Moreover, gold and silver coins were freely spent in the normal course of commerce. The onset of two world wars and the Great Depression in the first half of the 20th century put an end to the gold specie standard. War debt makes an honest gold standard virtually untenable. Governments have too many incentives to inflate away their debt burdens through currency devaluation. Although a modified gold standard replaced the previous system for the thirty years following the end of World War II, gold coins were no longer part of the monetary system. What Is Pre 1933 Gold? This is what makes the year 1933 so important in numismatics. It marks the last time any gold coins were produced for regular commerce in the United States. Later that year, one of the first actions taken by newly-elected President Franklin Roosevelt was to declare a bank holiday and order the confiscation of all privately held gold. The U.S. government literally outlawed posession of gold by executive decree. 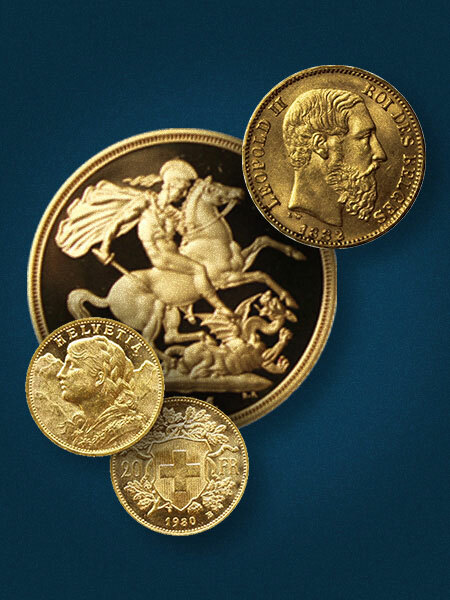 Several countries had already halted production of gold coins beforehand, as the United Kingdom did in 1925. 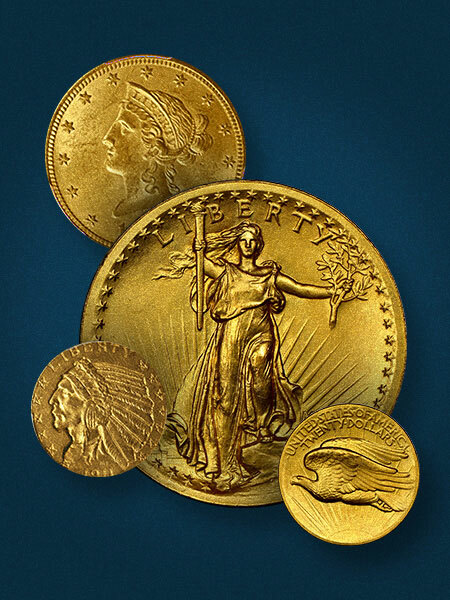 Once the U.S. stopped minting gold coins in 1933, it caused everyone else to follow suit. This is where the idea of "pre-1933 gold" came about. It's essentially the cut-off point between the era of gold coins and today. There was, however, a system used during the transition from a true gold specie standard to the modern regime of free-floating fiat currencies. It was put into place in 1944 through the Bretton-Woods Agreement. Hence it came to be called the Bretton Woods system. Bretton Woods was the modified gold standard mentioned earlier. You might think of it like an indirect gold standard. The system was based on the U.S. dollar, which was theoretically still convertible into gold (just not gold coins). The arrangement only functioned because the United States owned the vast majority of the world's gold when the dust cleared after World War II. By some estimates, the U.S. held almost 70% of all the known gold in existence (at the time) by the middle of the 20th century. America was also the overwhelmingly dominant military power in the wake of a devastating war. The rest of the traditionally powerful nations had few alternatives but to agree to such a system. Bretton Woods also initially worked because the U.S. was providing approximately half of the entire world's manufacturing capacity during the postwar economic boom. Thus the American dollar underpinned a huge portion of global commerce in the period that immediately followed. The dollar was also backed by a huge stockpile of gold -- perhaps 20,000 metric tons of the precious metal. As a result, other currencies were essentially pegged to the value of the U.S. dollar. In turn, dollars were the only currency that could easily be converted into gold by central banks. A number of nuanced economic factors began to cause this monetary system to erode and eventually collapse. The dollar's fairly steady exchange rate with gold made it the primary reserve currency for central banks all over the world. Yet as economic conditions improved (especially in Japan and Europe) during the 1960s, it became difficult for the U.S. to maintain a healthy balance sheet. Running balance of payments deficits in the U.S. offered global liquidity and encouraged faster economic growth abroad. Paradoxically, it meant that over time the dollar would lose stability. The only mechanism for propping up the system in the face of this deficit problem was manipulation of the gold price. This could be accomplished by selling large amounts of gold on the open market to suppress prices, but this "solution" was short-lived. Ultimately, the crisis culminated in 1971 when President Richard Nixon unilaterally ended the U.S.-guaranteed convertability of the dollar into gold. The momentous decision is informally referred to as "closing the gold window." The shorthand "Nixon Shock" caught on because the president acted without consulting any advisers or the American-dominated international monetary institutions such as the World Bank or International Monetary Fund (IMF). Within a few years, every advanced economy in the world had decided to allow the exchange rate of their respective currencies to float freely. In the time since Bretton Woods ended, the global monetary and financial system has become dramatically more complex. Crises and recessions are commonplace. Speculation in the foreign exchange markets is rampant. During the same period, gold prices have gone up enormously on the free market. Although it again became legal to own and trade gold in the United States after Bretton Woods, the use of gold coins in commerce has never returned. Instead, investors can buy and sell the old pre-1933 gold coins that escaped confiscation and melting. Fiat currencies are only maintained through government decree. They rely upon tenuous international agreements and ever-increasing debt. This is not a durable foundation. Buying physical gold is the safest and most convenient way to protect yourself from yet another financial crisis or disruption to the economic system.